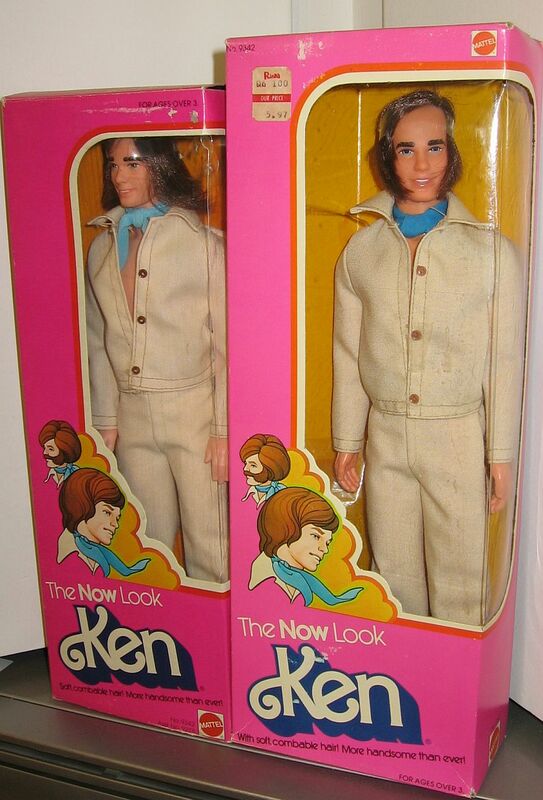 The Now Look Ken was available in both long and short hair version lengths and two different arm molds. 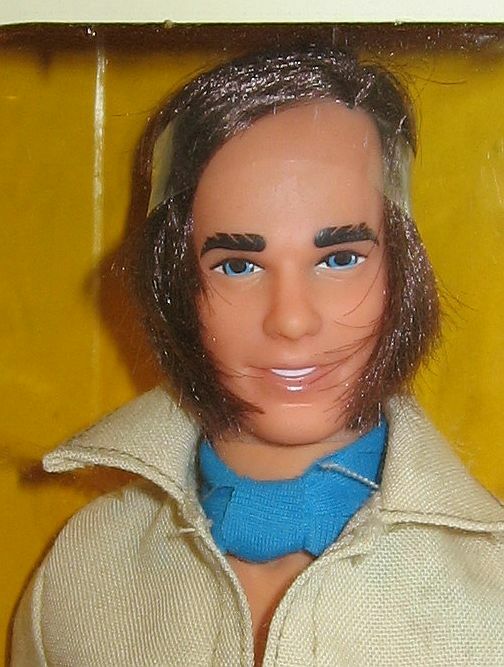 Shorter hair version (pictured below right) may come with white dickey; no scarf and has the PTS (Point To Side) arm molds. 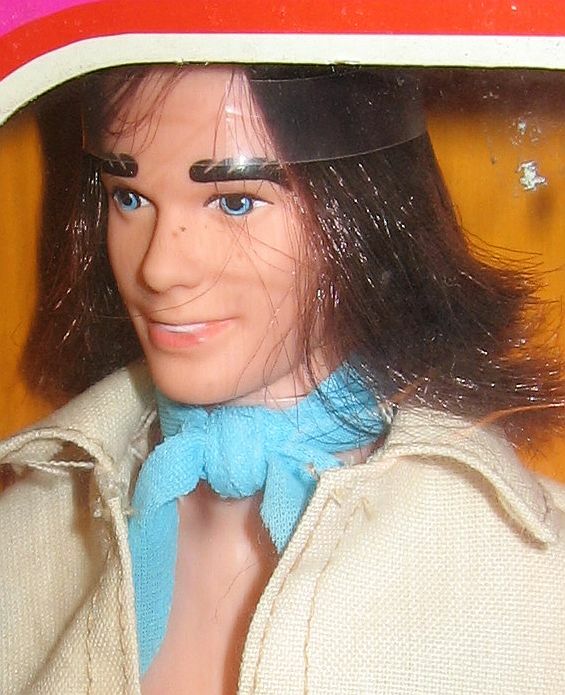 It was the first version available and also features a box that had a greater height stature than the long haired version. The longer haired version (pictured below left) has PTR (Point To Rear) arm molds and a shorter height stature box.